Members of the Del Rio staff attended the annual Science Fair at Buena Vista Elementary School. Community members were asked to judge the entries. 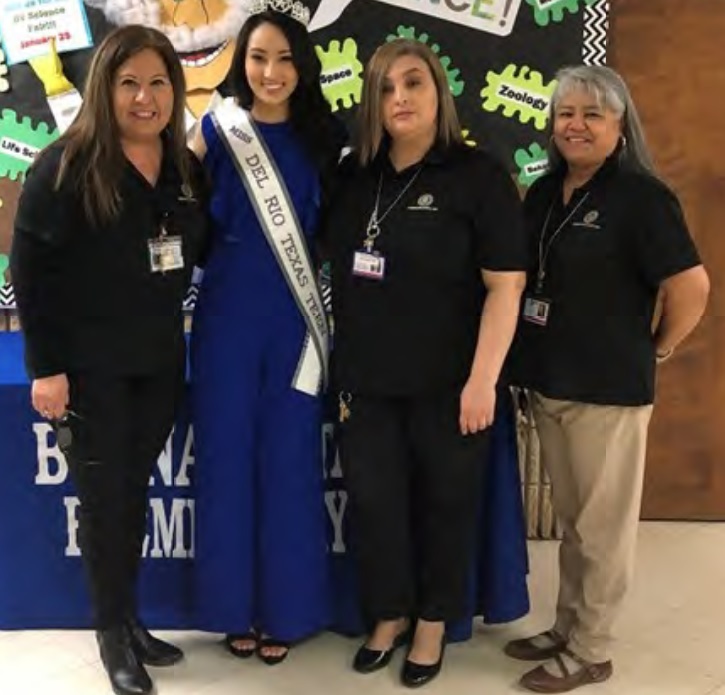 From left are Counselor Griselda Marino, Miss Del Rio Teen Kaylee Yi, Assistant Director Debbie Kiniskey, and Director Judith Moreno.